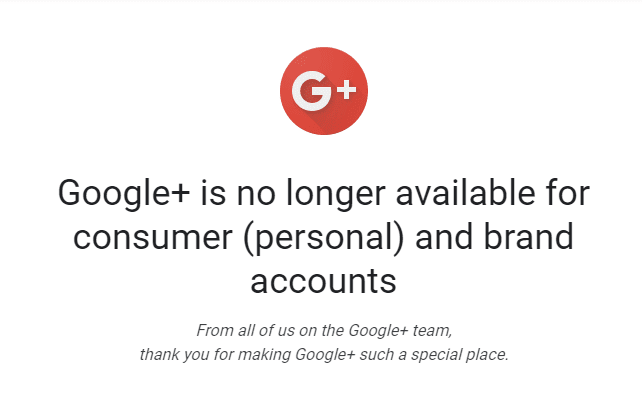 Google has finally closed down Google Plus Accounts like they promised the late last year 2018. This process began yesterday, April 3rd and some API aren't responding as time flies. 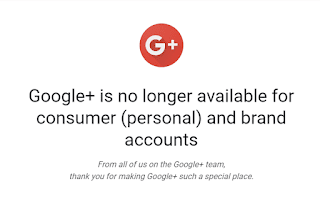 Google+ has been around for 8 years and have gained some popularity, but it seems like little or no attention was focused on the platform, so hence, Google sees it as a failed project and decided to shut it down. Associated accounts or platform with Google+ stops working at ones, but platform working via Google+ wouldn't be removed but will stop working via Google+ API, e,g (Blogger) Blogspot websites has been unlinked from Google+. Right now, all communities, profiles, pages, and events no longer exist. Subscribers - gone and aren't redirected anywhere, all API dependent on Google+ becomes unstable, e.g Google+ Share Buttons for websites. All your photos, videos still have few a days before it's gone, make sure to download & Save them. G Suite user pages will remain. Google+ Sign-In is replaced by a Google Sign In. Tells us what changes you noticed we missed above and your thought concerning these changes. Share and Support us!